Have a question about the Armor Scuba Diving Rubber Coated Mesh Backpack? Armor Rubber Coated Mesh Backpack folds up compact for the traveling diver. The extra durable construction makes it great for local dive trips too. 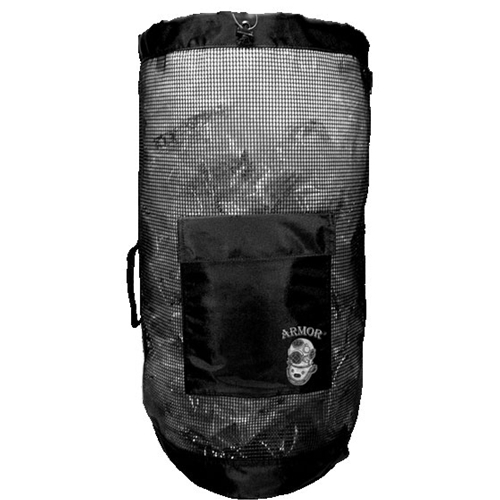 The mesh backpack is a multi functional gear bag that can be used as a side load duffel or top load backpack. The bag comes equipped with a top load drawstring closure with barrel lock and a full length side zipper closure for easy access to all the bags content. When used as a backpack the bag has padded and comfortable adjustable shoulder straps for easy transport and an adjustable sternum strap to add stability. The bag is also equipped with a top and side grab handles. 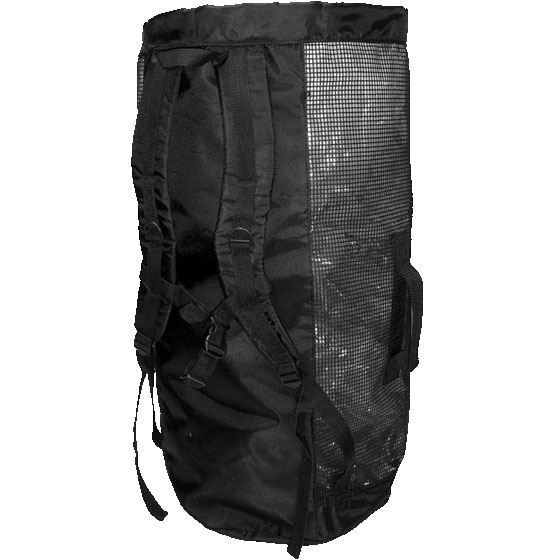 The mesh backpack has an internal full length semi-dry pocket and an outside pocket for items you need easy access to. Size: 30 " x 16"